Made out of strong ¼" crystal clear acrylic (plexiglass). 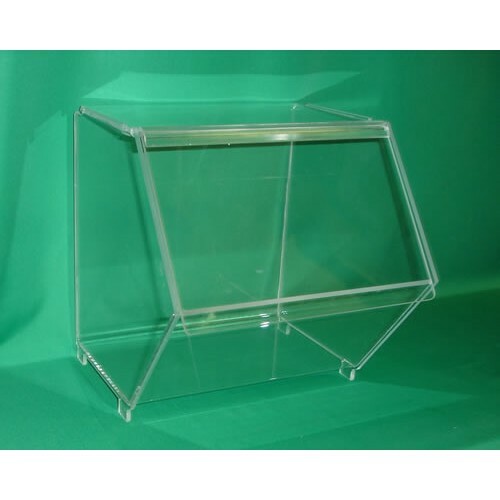 This Bakery Bin is an ideal solution for displaying multiple products such as breads, rolls, buns, bagels, cookies, fruits, and other products at one convenient location. You can stack each Bakery Bin on top of each other. Inside of each Bakery Bin your products will be protected from contamination and will be kept fresh. Front door access: 11½" x 6¾"